We all have days when we want a delicious dinner delivered right to our door. Luckily, many restaurants and meal delivery kit services are ready and waiting to fulfill that dream. But, poor packaging design decisions can ruin the experience. Let’s take a closer look at why food packaging is important and how you can improve your own packaging to stand out in a crowded marketplace. Whether your hot soup arrives cold, your cold sushi arrives warm, or the packaging is just an unattractive mess, the wrong packaging makes a meal less appetizing. Food packaging serves a number of important purposes. It protects food from outside contamination. It ensures that the meal arrives at the right temperature. And, it serves as a tactile brand ambassador your customers can see and touch. Packaging for food items has the ability to create fantastic associations between your audience and your business. Your food packaging contains delicious food! So, that’s half the battle right there. …attractive packaging design motivates people to make impulsive choices, bypasses reflective thought and leaves the purchaser with a feeling of having been rewarded. That’s a powerful impact. Don’t miss out on this opportunity to deliver a quality customer experience and help to strengthen your brand’s positive bond with its audience. Using the right material is the first step to product packaging design success. 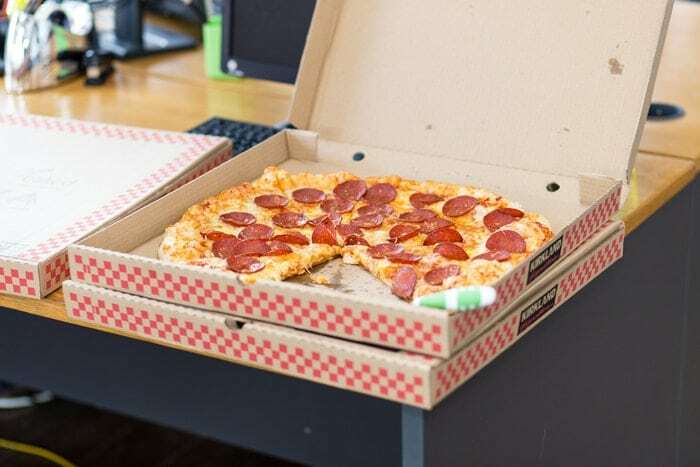 Styrofoam is great at insulating hot and cold foods so that they maintain their temperature. But, it’s non-biodegradable and bad for our environment. Plastic is sturdy and prevents leakage when designed properly. However, many plastics are non-biodegradable. And, some plastics can leach toxic materials into your food. 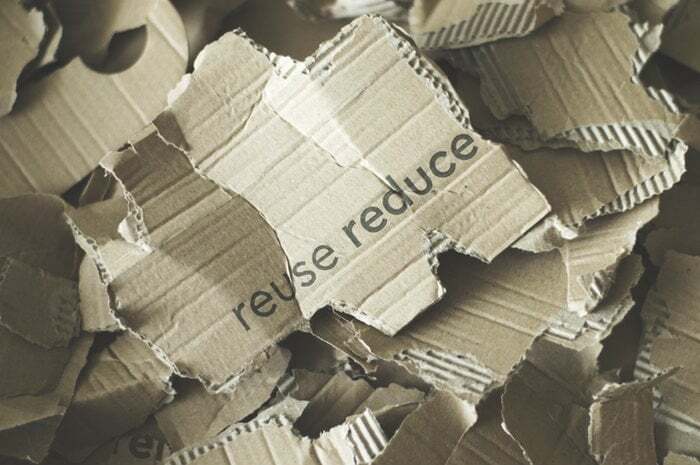 Cardboard is biodegradable and easy to print on. But, wet foods can turn it to mush. And, it’s not very good at insulating to maintain temperature. There is also a growing variety of biodegradable and sustainable food packaging containers to choose from – more about those later. For an in-depth look at all of the factors you should consider when choosing packaging for food items, take a look at this article from the Dairy Technologist. So, what are your business’s food delivery needs? Think about the distance your food needs to travel, how long it will remain in its packaging, temperature requirements, as well as what type of foods you will need to transport. Then work with your packaging designer to create custom packaging that will best suit those needs. Most food packaging is disposable. And, consumers are growing increasingly aware of the growing impact that disposable packaging has on our shared global environment. Restauranteurs and meal delivery kit services need to be mindful of this as well – lest your environmentally un-friendly ways alienate customers. And, prioritizing recyclable, reusable and biodegradable packaging materials is a great step toward running an ethical, environmentally-conscious business. There is an unbelievable amount of waste that goes into delivery service, and once I was aware of the effect that this waste had on our planet, I knew I couldn’t let my business contribute to it. Kore Kitchen uses compostable containers made from corn and sugarcane, along with recyclable glass bottles and reusable ice packs and bags. Your business would do well to follow Kore Kitchen’s example. So, look for ways that you can use re-usable packaging as well as biodegradable food packaging containers. Products like “Nanowood” – a new, biodegradable styrofoam substitute, disposable bamboo, and tree-free recyclable containers are all worth considering. Once you’ve determined what types of packaging materials are the best fit for your needs, and hopefully prioritized environmentally-friendly disposable and re-useable containers, you can start to think in earnest about packaging branding. Your packaging will interact with hundreds of people. It’s a huge missed opportunity if that packaging is not branded and properly designed. The packaging is the physical representation of a brand’s personality and one of their key identity tools. It helps to draw the consumer’s attention to a specific product in a crowded retail space, and differentiate a product from its competitors. Your custom package graphics design presents the opportunity to create a bond between your brand and every customer who purchases from you. People like to get presents. People like ease-of-use. Food delivery provides both. And, in addition to contributing to the happy feeling that accompanies the arrival of a food delivery, over time and repeated interactions, seeing a branded food package can elicit a Pavlovian hunger response. That response can impact the customer who bought the food… as well as anyone else who sees the food in transit. 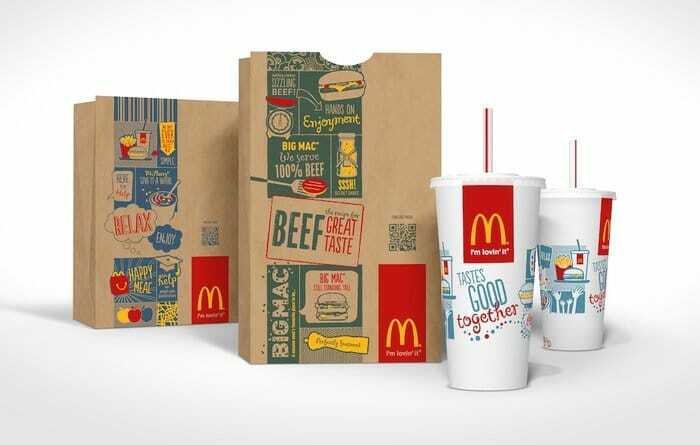 Ever seen a McDonald’s bag and been unable to shake your subsequent craving for McDonald’s? So, put your branding on your food packaging and make it visible and crisp. Make sure your business name is readable and your company logo is prominent. Packaging can do more than tell people where the food came from. Packaging can also be used to communicate a message to your audience. You just need to decide what that message is. Remember that your packaging should be an extension of your brand. So, the message you share should be on track with your brand identity and promise. Then let that message guide you toward creating a unique food packaging design. And, don’t be afraid to seek out professional packaging design help for this important task. Unique food packaging provides a novel experience and sets your brand apart from the competition – two valuable missions. So, let’s take a look at what this might look like in practice. 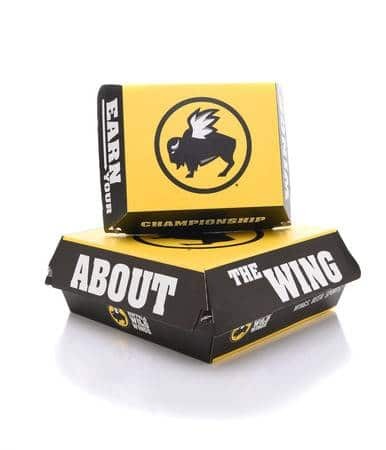 Buffalo Wild Wings is a sports bar and restaurant specializing in – you guessed it – wings. And they have mastered sharing their branding message on their food packaging. No opportunity is missed. Even their napkins and wet naps are designed to communicate brand identity. So, take a page from B-dub’s playbook and use every opportunity to spread your restaurant’s brand identity and message. Meal delivery kit services should use their packaging to communicate, too. But, instead of branded napkins and food containers, create an amazing unboxing experience. Part of the fun of a meal kit is the anticipation of the meals the customer is about to enjoy. Heighten that experience with a well-organized delivery package and beautifully-designed printed recipes and marketing materials. Brand the box your kit arrives in and everything inside it. For more on effective packaging design, read 6 Proven Tips for Successful Food Packaging. The food you serve should always be the star. But your food packaging should never be an afterthought. Make packaging choices that will serve their function well. 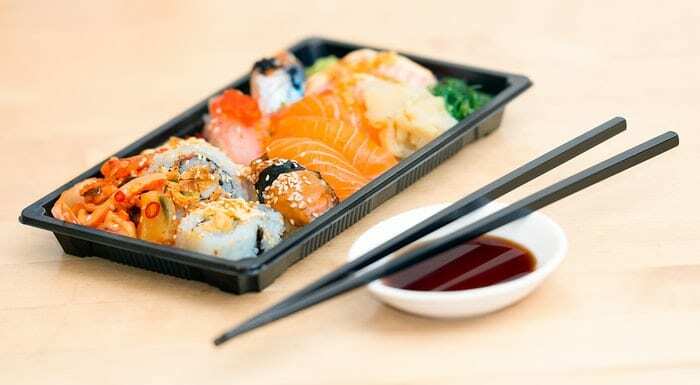 Select packaging containers that will ensure that your food arrives looking and tasting as amazing as it should. And, make design choices that will enhance your customer’s meal and be a visual ambassador for your brand.